As someone who lived most of his life in the megalopolis of Los Angeles, you aren’t knowledgeable about real rivers. I lived for a time next to the Los Angeles River and it was just a giant concrete slab of an artificial canal that most of the time was/is used for movie and television shoots. I traveled to the Colorado River many a time for skiing and partying but it was more like a lake than a river. The Salinas River may appear small most of the time but there lies a big river underneath. When I moved to Paso Robles, there for the first time was a river – and it ran essentially right through the town along the El Camino Real and 101 freeway. The California Central Coast river was not a very effusive-looking river, but a river nonetheless. The mighty Salinas goes up and down? Nicknamed the ‘Upside Down River’, the Salinas River headwaters are in the Los Padres National Forest just south of the town of Pozo. Most rivers travel north to south but the Salinas River starts in southeastern San Luis Obispo County. The nearly 200-mile river heads northwest first dumping into Santa Margarita Lake before dispatching itself up to the North County area of San Luis Obispo County. Bearing north out of Paso Robles, it sets sail through the supple farming areas of the Salinas Valley in Monterey County before ending up in the Monterey Bay and Pacific Ocean. Note: technically the river has sand dunes that stop it just shy of the bay due to the great 1906 San Francisco earthquake – canals connect the river to the Pacific Ocean. The oddity of flowing from south to north isn’t exclusive to the shallow running Salinas River but the nickname of Upside Down River isn’t just due to its directional course. Rivers sometime have what they call subsurface flow and though the Salinas can almost hide itself from view and appear little more than a creek during the drier half of the year, below the surface runs a giant river. In fact, the Salinas helps create the Paso Robles Groundwater Basin, which is the largest natural aquifer west of the Rockies. So at times you may not be able to see the river above the surface, yet it is huge underground. The great novelist John Steinbeck wrote often about the wonderful farming region that the Salinas Valley was … and is. 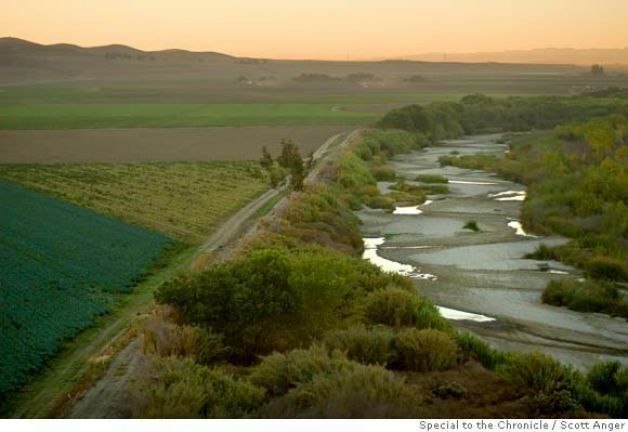 The Salinas River and region were first made known to the rest of the world with the famous writer John Steinbeck books including Of Mice and Men and many years later East of Eden. The river has produced a very fertile land that helped create the worlds number one wine region in Paso Robles and shaped what Steinbeck wrote often about: the Salinas Valley. You might have heard it before but the valley is sometimes referred to as the ‘Salad Bowl of the World’. The weather is heavily influenced by a strong marine layer from the Monterey Bay. 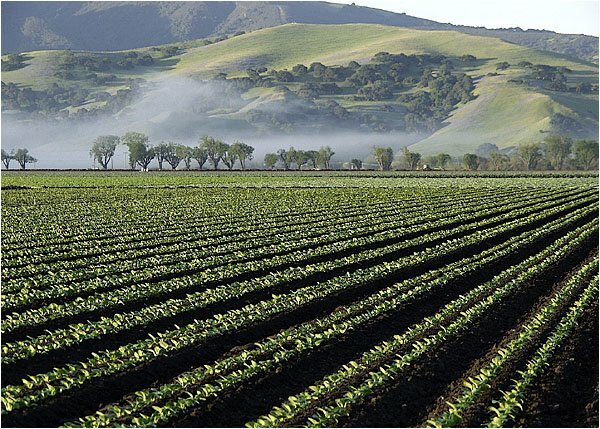 With this relatively cool to mild temperature range, the roughly 150 mile long and 10 mile wide Salinas Valley is one of the most prolific farming regions on earth and is often called the ‘Salad Capitol of the World. 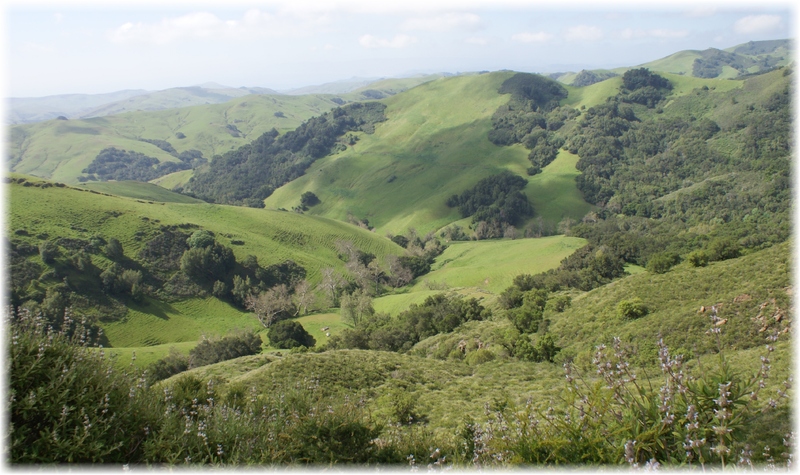 The valley runs though much of Monterey County from its southern border with San Luis Obispo County in the neighborhood of San Miguel all the way past the city of Salinas into the Monterey Bay near the town of Marina. As mentioned before, not only does the river help produce abundant food crops in the Salinas Valley, the fertile land in the south is home to the Paso Robles American Viticultural Area, which was recently named the number one wine region in the world. Well known for its heritage varietal Zinfandel, the balance of temperatures differs drastically in this area with a huge diurnal, but this combination produces incredible wines now known around the world. 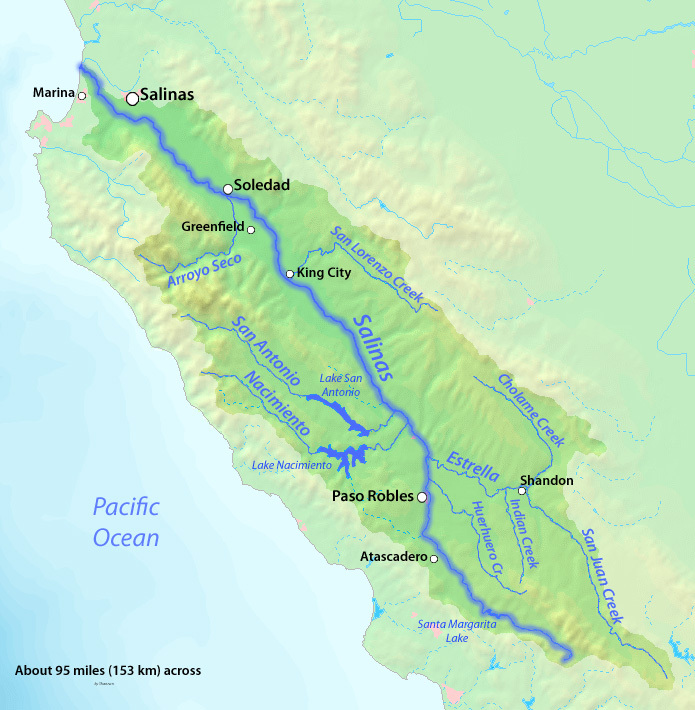 The Salinas River is also fed by such tributary rivers like the Estrella and Arroyo Seco along with two lakes, Nacimiento and San Antonio, not to mention many creeks, which makes this river region one of the largest watersheds in California. Life along the Salinas the last couple years has been quiet but if hit by a set of storms during winter, it can quickly become a raging menace. Otherwise, it appears as a small looking river, not unlike the artificial one I remember in Los Angeles … but there’s a huge difference as the upside down Salinas River remains a big river underneath. This entry was posted in Central Coast and tagged Monterey County, Paso Robles, salad capitol, Salinas River, Salinas Valley, San Luis Obispo County, Upside Down River on February 28, 2014 by PasoDr. I wrote about a tiny vineyard with a huge passion a few years ago that oddly helped me get a pretty good part-time gig with Yahoo! as a sports writer. The story was about Luis Nunez’s very small vineyard and his enthusiastic passion of trying to make the best Zinfandel he could. This is a follow-up and although there were some rocky roads along the way, let’s just say he’s done a remarkable job. Without retracing his early steps, Luis, a retired peace officer, had finally produced in a bottle, his first wine called the Anomaly. It was apropos name for this was just second-year vines that produced a Zinfandel that was astonishingly good. How good was it? It received a Bronze medal in the Orange County Fair, one of only a couple contests he entered the wine in. Remember, this was the second year the vines produced grapes! Not only that, but his label earned him a Gold medal. Christian Lazo Wines helped Venture Vineyards quite a bit in the early going. 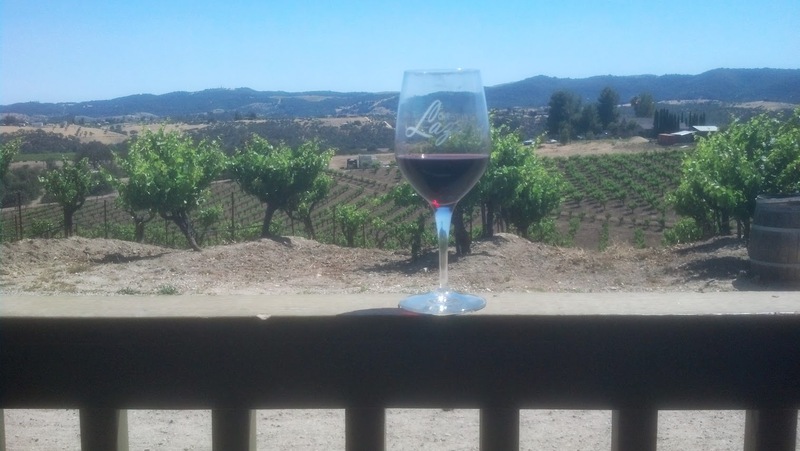 Christian Lazo Wines deserves part of the credit because they offered their insights and facility to help Luis create this surprising and rambunctious upstart of a Zin. With such a small quantity of wine though coupled with friends, neighbors and family members clamoring for this amazing vintage, it wasn’t a year before the wine was gone. Which as it turned out was just as well. Doing it the old fashion way, Luis didn’t want any filtering of his product as he sought just the raw pure wine. A little more than six months after bottling, the wine started to turn in color and although the flavor seemed to standup, the Anomaly wouldn’t have made it past a year. Maybe a lesson was learned. A bittersweet situation as you can imagine, Luis was determined to make the next batch of wine better. This vintage would be named the Shark and like its namesake, it had to fight and dig deep taking on all nemesis’. Like a Great White, the Shark vines would have to show they were great grapes, working through spring freezes and mildew battles (because of late rains) – but in the end, Luis and his young but formidable vines were able to produce roughly 50 cases. Not to be outdone, the label is also a Gold medal winner. Although reluctant, Luis filtered this batch and then had several in the wine industry taste the still young wine. Even other vintners, who aren’t prone to brag on someone else’s wine, told him he had a winner. He decided to put the Shark in a handful of fairs and wine contests such as the prestigious International Amateur Wine Competition and won multiple medals including a Gold. And to put a period on this standout vintage it not only earned a Gold; but, this time the Shark bit off a bigger prize … Double Gold! Consider this: Paso Robles is currently the world’s top wine region with California’s heritage grape being the Zinfandel, a popular varietal in Paso. 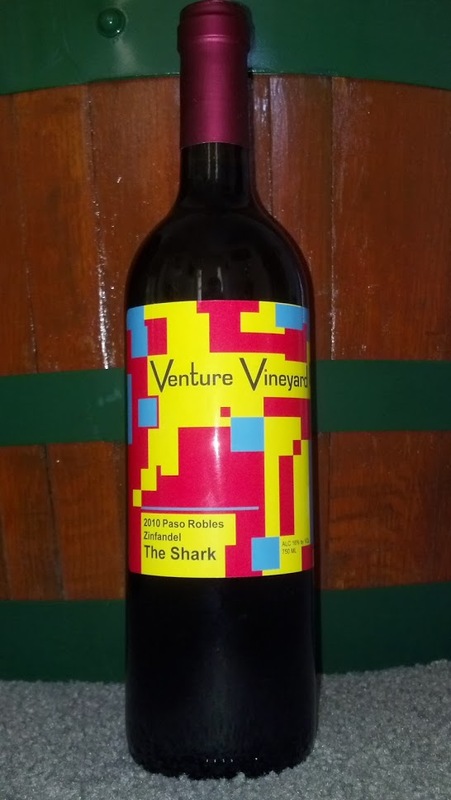 Luis Nunez’s Shark was the only gold medal awarded this past year to someone from Paso Robles in the Zinfandel category at the International Amateur Wine Competition. Heady stuff indeed. This stunning success was great and acknowledged all his hard work and effort to create an ultimate Zinfandel. However, even though Luis was on top of the world, with high and lows as any success story would go through, having put so much work and effort into the Shark, the following year was tough to manage. Due in part to the unending Great Recession, Luis’ personal finances wouldn’t allow him to hold on to that year’s vintage, so he sold it to Christian Lazo. Along with making sure he could keep the next year’s vintage and more resolute than ever before, Luis wanted more. Boy did he get more … more grapes that is. All estimations were that he would have a ton and half, which would give him three barrels worth and eventually 75 cases. Those estimations were low. Waiting for a bigger and better one? 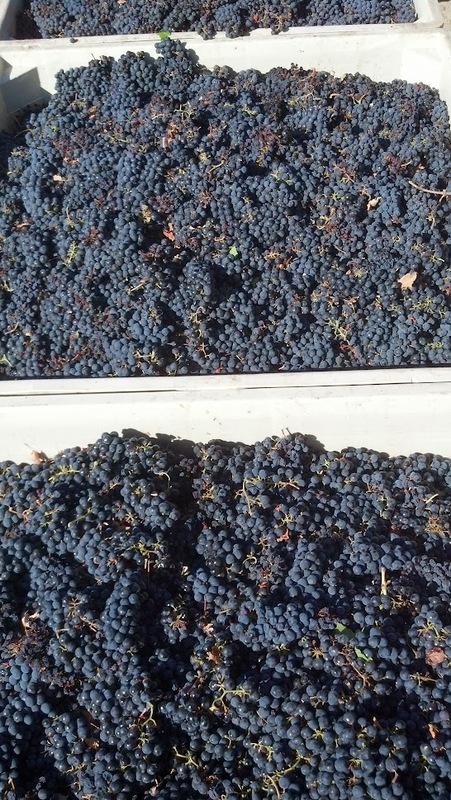 One of these bins is roughly half a ton of grapes. The new vintage is called the Bullet and came through with a solid two tons or four barrels. The vines were picked clean – this time by family and friends and then processed at Falcon Nest. Barrel samplings at 16 months say the wine is excellent and ready for bottling, but Luis is leaving it in the oak barrels for at least another six months. A vintner of this talented gift knows when the time is right. The story is still unfolding as last year’s vintage was smaller with the main reason being the extreme drought we are undergoing in California stunting the growth somewhat. That led to a ton-and-a-half or three barrels. Luis sold one of the barrels but has two left of what preliminarily is being called the Rebel. For now, everyone waits in anticipation of what the Bullet and then the Rebel might bring. His operation may be small but Luis has invested mightily in tiny Venture Vineyards. For instance, he controls the temperature and humidity of his oak wine barrels with an enclosed insulated cellar at his property, which has a professionally installed cooling system. The current extreme drought brings on limits to watering (see related articles below under ‘Water stories’) so Luis feels he’s planning on fewer grapes than normal – except we already know what these vines are capable of. By the way, weather experts say we might have an El Nino coming this year and that would be much needed good news for farmers because the state and federal government have cut off their water. Luis Nunez and his Venture Vineyards have done what few others could do. What the future holds for Mr. Nunez is still an open book, but be assured, with the passion to endure and succeed, history has shown us more triumphs are certainly headed his way … and more great wines are headed our way. Want to know more about or be a part of Mr. Luis Nunez’s success? Email me. PS: Sadly, two months later, our good friend Luis Nunez suddenly passed away along with his passion … but his tiny vineyard could be yours. Go here. This entry was posted in Central Coast, Wine and tagged California drought, Christian Lazo Wines, International Amateur Wine Competition, Luis Nunez, Paso Robles, The Shark, Venture Vineyard, Zinfandel on February 24, 2014 by PasoDr. 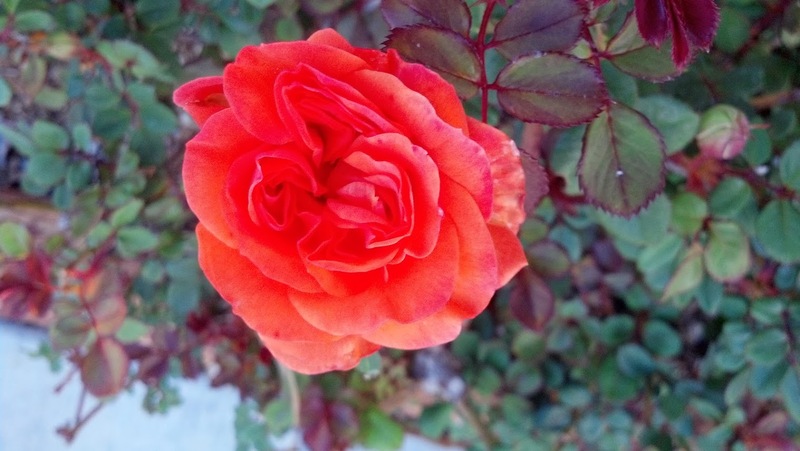 Spring is not here yet but Paso Wine Barrels, like the newly blooming rose pictured, is ready to break out. The interest in our product is growing everyday and we’re inviting you to join us. This narrative isn’t boasting. Our tiny business is a brand new innovative yet simple interpretation of what you can do with old used wine barrels. And we want folks like you to be in on the boom that appears to be a budding megastar in the happening. One obvious way is to acquire one of our cool barrels whether it’s a full decorative wine barrel or possibly a hose holder or what might be the most popular item this spring, the planter barrel. Again, purchasing our barrels is obvious, but there are other ways to join in on the fun and excitement here at Paso Wine Barrels. You can enjoy a piece of the pie by helping us sell our truly unique pieces of wine country. All you do is contact us with your basic information and refer others to buy our full decorative wine barrels and in turn you receive $50. Also, if you refer and help us procure a sale on one of our half barrels (planter or hose), you will collect $10 for each one sold. Go to our website for more details – check to the left of our home page where it says $50 FREE. These wine barrels will become the greatest thing since sliced bread. Get in on the ground floor and connect with us as we head towards the spring of a huge sensation. This entry was posted in Barrels + and tagged about to bloom, Paso Wine Barrels, spring, Tempo Rose on February 21, 2014 by PasoDr. The associations and connections that happen along the way of life can be simple or complex, but with Gerald (Gerry) Forsythe, owning a large and successful winery in California could hardly have been considered from his beginnings in a small rural town in east central Illinois. Forsythe is the man behind the investment to bring the winery back that was once Arciero, EOS, Sapphire and now is Broken Earth Winery. To be clear, Chris Cameron is the winemaker and in charge of the winery as it races quickly along but Forsythe’s money is what purchased the business end of the deal – however, note the land is still owned by Chinese investors who acquired the property from Sapphire Wines. It’s a longer story than that but in short, Forsythe owns the lease on the land and use of the facility, which is quite extensive. The company is under the Continental Vineyards name. Born and raised in Marshall, Illinois, Forsythe was known more for his building of a giant power industry empire, amassing nearly a billion dollars of personal worth. Still, his most public achievement may have been a more notable exploit with Gerry known as an open wheel car owner in the world of IndyCar and then owner of a series. Already quite wealthy from his growing cogeneration power plants and equipment businesses under the company name of Indeck, Forsythe became a winning car owner in CART during the ‘90s with famous Canadian drivers like Jacques Villeneuve, Greg Moore and Paul Tracy. Notoriety would follow when Gerry along with Kevin Kalkhoven and Paul Gentilozzi acquired CART in 2003 – which was competing against IndyCar. The new series was renamed ChampCar and it would continue to be head-to-head versus IndyCar for five more years before a merger (acquisition by IndyCar) helped bring Forsythe’s involvement in motorsports to an end. 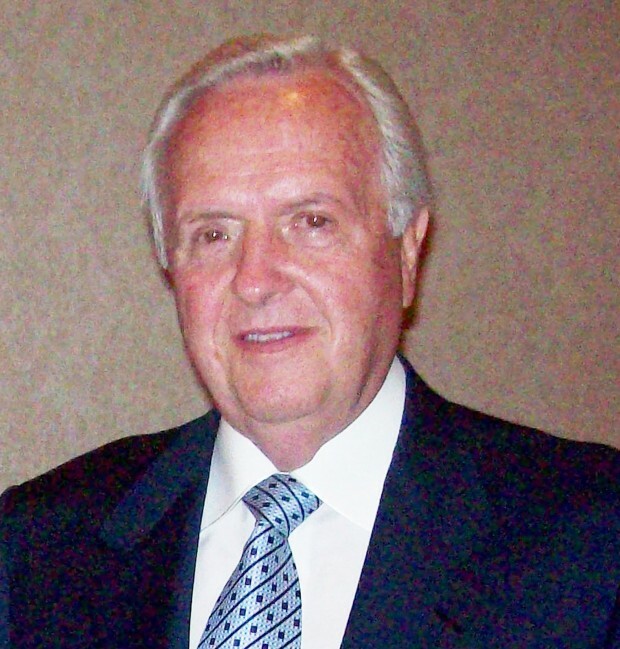 A soured and bitter end to his racing entities may have helped turn his attention to sweeter investments such as the purchase of the old EOS winery. For those in motorsports, it may seem ironic that a property originally owned by Frank Arciero and his brother who themselves were highly involved in racing including IndyCar, brings the vineyard and wine-making operation full circle and back into the hands of another racer. It wouldn’t be a Gerry Forsythe company if Broken Earth Winery weren’t more than self-sufficient with a very profitable solar panel farm for all their power. Little more than five miles east of Downtown Paso Robles on Hwy 46 East, Broken Earth has a very nice tasting room and café along with a large outdoor area to enjoy the sites of east Paso Robles. The winery is also large with a huge commercial wine-making ability. Interestingly enough, the property is completely self-sufficient with a good size solar-panel farm directly south of the winery and in-fact sells energy back to the power company. The grapes were prized by Napa almost a half a century ago but never sold under a Paso Robles banner until recent decades. Thanks to Forsythe and Cameron – who is doing a fabulous job so far – now they’re world renown just like the Paso Robles region as a whole. Note that Forsythe also owns resorts and golf courses in Michigan, along with a 28,000 acre cattle ranch in Illinois. Gerry Forsythe may have many other businesses under his belt but none of them is as attractive and productive for sheer enjoyment like Broken Earth Winery. Gerry partnered with a dynamic vintner in Chris Cameron and the winemaker has the vineyard racing forward, likely making this business venture as successful as all the other Forsythe companies. The green flag has just flown – there are many more laps for Forsythe to watch over as his winery business speeds forward. 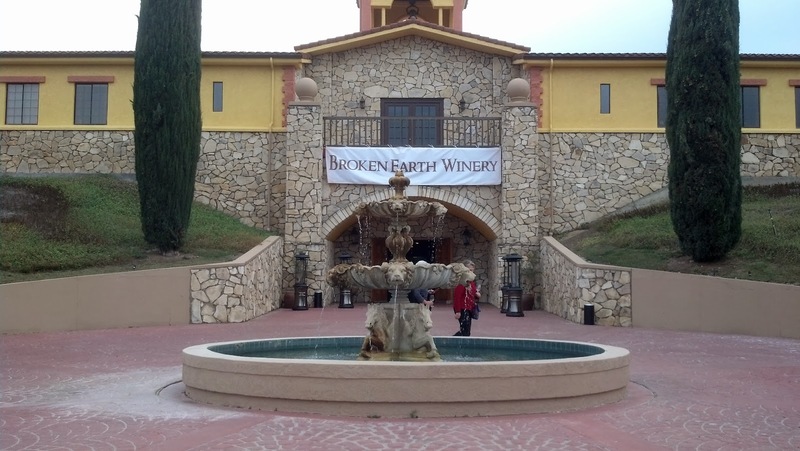 This entry was posted in Uncategorized, Wine and tagged Arciero, Broken Earth Winery, ChampCar, Chris Cameron, EOS, Gerald Forsythe, Indeck, racing to wine on February 17, 2014 by PasoDr. With so many honors being bestowed on Paso Robles including the world’s ‘Wine Region of the Year’, it might be difficult to believe that one of the main reasons that Paso Robles is receiving so many accolades is the unassuming next town south of them: Templeton, California. That’s right, when articles and association as well as websites talk about Paso Robles and wine, they likely are talking about none other than Templeton. The secret is out. You may be wondering why I’m mentioning Templeton. It’s true that the Paso Robles AVA (American Viticultural Area) is a wide swath of San Luis Obispo County that starts in the north with San Miguel at the Monterey County border and heads south to Santa Margarita, east to Shandon and all the way west through to the center of the Coastal Range. In other words, there are many different towns and areas within the Paso AVA. However, when discussing Paso Robles vineyards and wineries, many of these vintners are outside the city limits of Paso Robles and actually are in what was once the obscurity of the Templeton zip code. Numerous vineyards set up shop in the Templeton Gap. It’s a low point in the Coastal Range that allows the Pacific Ocean’s air to come through and essentially moderate the temperatures of the upper inland San Luis Obispo County valleys. That moderation gives vintners an ability to grow a wider variety of grapes without the harsh highs in summer and lows in winter. Also, the land is rich and has very favorable soil, yet the terroir is diverse. The town itself of less than 8,000 is a lot like what Paso Robles was 50 or more years ago and sits roughly halfway between Atascadero and Paso – the two major cities in northern San Luis Obispo County. There’s a simple downtown area that goes through Main Street (what else) and gives you the feel that you’ve entered into a different dimension – maybe a combination of the ‘old West’ and a typical small Midwestern town. By the way, Templeton is full of excellent bed and breakfast inns. As the end of the line heading south out of San Francisco in the late 1800’s, the town was originally called Crocker after an executive of the Southern Pacific Railroad, but then was promptly changed to Templeton, the executive’s son. Known for its railroad yards in the early years, it was a major town in the region. Never incorporated, the town was eventually bypassed by the trains and their larger brethren cities north and south of it, remaining just a small community. That is, until Paso Robles began acquiring praise and reviews as a great travel destination and more importantly, as the number one wine region in the world. Templeton has had its own Chamber of Commerce for more than 30 years now but remains a relatively quiet and small town reflective of a bygone era. And yet, that era may be ending as folks find out where many of the now famous wineries are actually located. When they discover how charming and quaint the town itself is, there won’t be holding Templeton’s seeming anonymity back any longer. In fact, Paso Robles is the largest undivided AVA in California, but soon the region will be subdivided into approximately 11 new AVA’s including the Templeton Gap District. Although still technically under the Paso Robles AVA umbrella, each of these districts will be able to label their wines with the new AVA designation if they wish. At that time, the Templeton name will be splashed across all over the world as a major wine producing region. So the secret is out. None of us who love Templeton necessarily wanted this secret to get out but what heck, we’ll share. This entry was posted in Central Coast and tagged Paso Robles AVA, Templeton California, Templeton Gap, Wine Region of the Year on February 7, 2014 by PasoDr. Conserving fresh water for people to live regular lives is as important as breathing and is essential to a quality of life … or for that matter any life at all. However, can we go overboard and are there unintended consequences? Is water conservation good? Water is a precious commodity and although nearly three-quarters of the world is covered in the liquid stuff, less than five percent is fresh water (source: USGS). Still, we have water everywhere, but as human beings, we can only live on land so getting H2O is important and vital to keeping us, well, alive. The water issues here in California are a concern for many and the drought has most of us preoccupied by the current problems associated with a lack of water. Even though some in urban areas don’t feel or see the devastation going on with farms and ranches alike across the Golden State, there are still long-term ramifications for our lack of rain the last couple of years and whether you live in or out of the big city, this problem is for all to contemplate. Currently, the state of California has determined that fish and urban dwellers will get whatever extra waters we have while independent water districts mainly in small towns and rural areas combined with farmers and ranchers will not be given any water – none. Go here for more on the states water and food war. Since most of winter is behind us and long-term weather forecasts don’t show much in the way of rain, this problem is now a given: we have a shortage of water and conservation modes will have to be imposed. Desalination units like this reverse-osmosis plant in Spain, are one of many possible solutions to a lack of water. Now you probably thought I was going to give some insane argument against water conservation – and I do like to be a devil’s advocate – yet, there’s no doubting we live in a semi-arid world in California, so saving water must be done. Conversely, with the Pacific Ocean on our Central Coast, there’s no reason desalination plants shouldn’t be popping up everywhere. And catchment systems should be ubiquitously in every crevice we can place them. People should use their god-given brain and do what’s right to conserve water the best we can. Nearly everyone is a conservationist and environmentalist in one way or the other. With that said, do some rush-to-judgment by creating a situation where conserving has gone too far? The power bill goes up during the summer months as air conditioners start humming. Walk on concrete or asphalt for awhile on a hot summer day and the feet let you know it’s hot. It’s why we head to parks in the summer, especially those you live in big cities, to enjoy the green grass and shade trees. Personal story: A part of the house was hotter than the other not because it was on the sunny side of the property but instead, it was surrounded by rocks, succulents, cactus and dirt. A little research found we could cool the house down by removing the rocks etc and in-place planting grass and shrubs. Long story short, the temperatures in the warmer area of the house went down multiple degrees and in-turn, power expenditures went down. Problem solved. I only wished I had planted a very trick-like grass seed that is drought tolerant and hardly ever needs mowed – but cost was the problem there. The heat rising during summer months notwithstanding, the advantage of a rock, cactus, succulent and dirt yard as far as water conservation was trumped by the cooling effects of grass and shrubs and in-turn a lower electrical bill. So what was the deciding factor? Comfort … and making Earth a little greener while keeping a few greenbacks in our pocket. 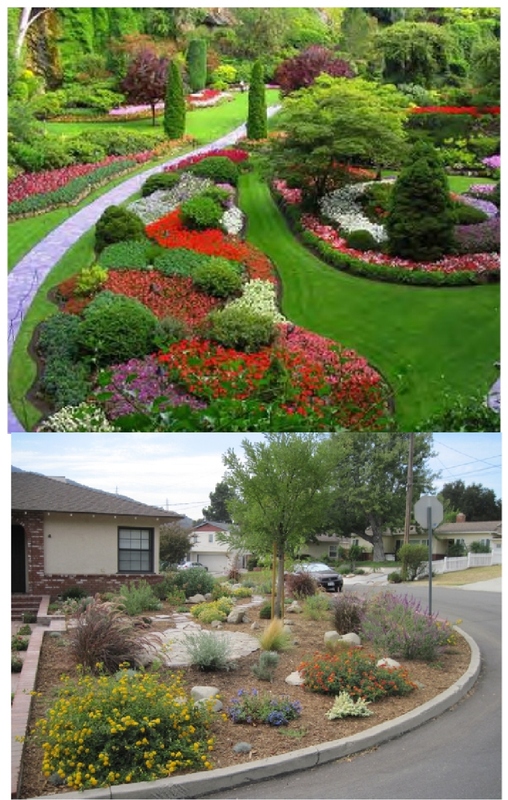 Plus, let’s face it, lush looks better and keeps property values higher. Here’s another small item to keep in mind. When we had the water shortages a few decades back in Los Angeles, people did what they were told to do and cut back significantly on water usage. After awhile, water departments starting complaining that weren’t making any money and raised rates – again, not because there was a lack of water, but because not enough was being used. Unintended consequences indeed. The answer? This isn’t a zero-sum game and there is no direct answer here, only caution about racing to conclusions and instead, thinking out what actually is the best solution for each individual, town, community or state. Some might feel better about themselves if they dig up their lawns and put a rock garden in with some cactus and succulents. Some feel guilty if they aren’t appearing to doing something about our planet. That’s fine. To each his own. By the way, even ‘drought tolerant’ plants are struggling. And again, without racing to a conclusion, let’s just keep in mind unintended consequences. Keep conserving water and in the mean time, contact your local representatives about other avenues including reclaiming water or other ideas we can come up with. Plus, it’s a good excuse to keep tabs on local politicians who seem to be more and more distant every year. The title question is somewhat rhetorical. 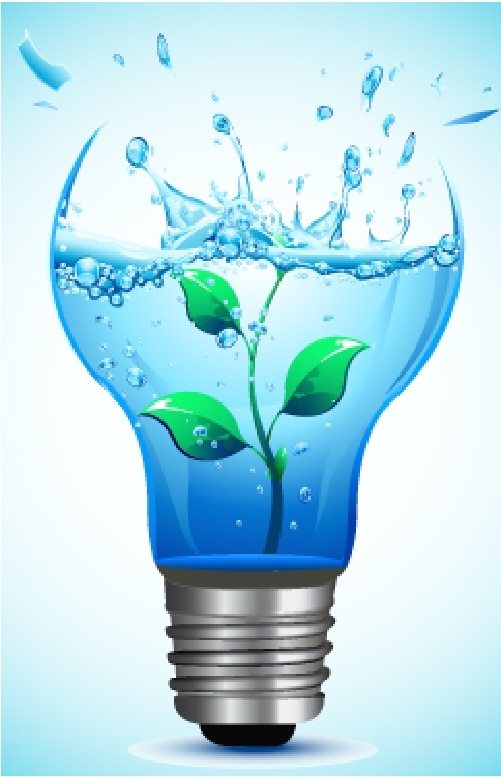 Let’s all do our part; but, is the current situation a rush-to-judgment on water conservation? What do you think? This entry was posted in Water and tagged California, catchment, desalination, drought, Is Water Conservation Good?, water conservation on February 6, 2014 by PasoDr. PasoWineBarrels.com takes used 58 to 60 gallon barrels that are too old to use anymore in the wine business and brings them back to life as looking better than new. You can go here for more information how to make a decorative barrel. 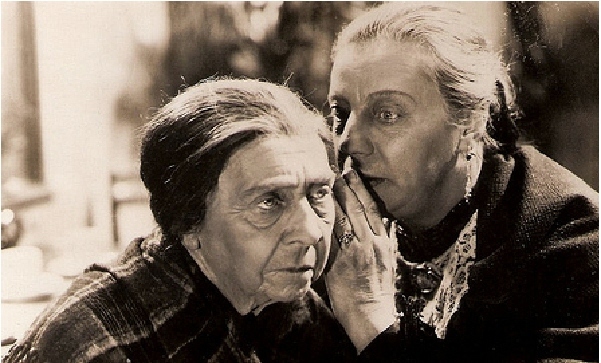 We received a lot of curiosity in our recent chronicled report and appreciate the interest. We were brought a project barrel that indeed was a project. The barrel was rotten on one end and on the verge of being nothing more than kindling. We were able to clean it up and and it now is resonating on a Paso Robles hill in front of some medal award winning wines. The story we did was five part and to make it a bit easier to read through the entire account, we have all five blog stories here for your perusal with snippets of each. We start with the first paragraph and for more on each story, just click on the end of each snippet. Thanks again and we hope you learn a little more about our wine barrel renovations. Have questions? Feel free to ask anything. Thanks again. This entry was posted in Barrels + and tagged old barrels, Paso Robles, Paso Wine Barrels, Recrafting An Old Wine Barrel, wine barrels on February 5, 2014 by PasoDr.